Evangeline (Lena) Tietjen was diagnosed with glioblastoma brain cancer on November 7th, 2017. She was only four years old. Before that time, Lena was a perfectly healthy and happy little girl. She loved to dance, read, and play with her twin brother Clark. The only indication her family had about this tumor was when Lena started getting headaches and vomiting in mid-October. 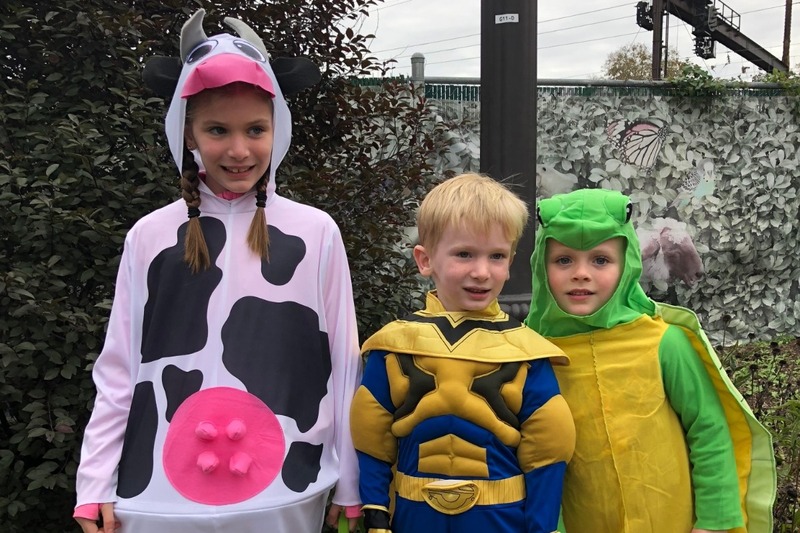 Everyone thought she had a typical stomach bug, and even when symptoms persisted, and her parents took her to Children's Hospital of Philadelphia on Halloween evening, she was again sent home by doctors. It wasn't until two days later that she developed right sided weakness and her tumor was discovered by CT scan. 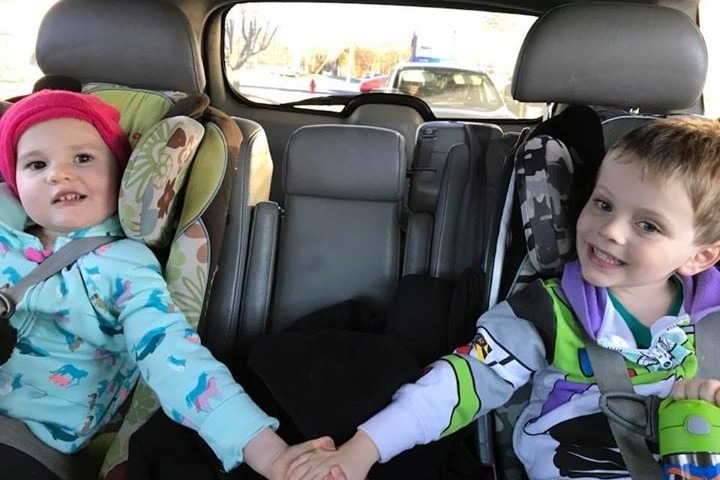 Erin and Matthew Tietjen were told that the diagnosis was terminal, and that she had between 3-9 months to live, even with treatment. Even worse, the location of the tumor, deep in her thalamus, made it inoperable. In addition to preparing Lena for radiation, her parents immediately used this GoFundMe page and the local news to start "Lena's Library" and bring attention to Lena's story as well. It was a resounding success, and she has even collected enough books to give back to others who are less fortunate. Our hearts were full with the generosity of strangers as people came together to gift Lena with her very favorite thing: books. Being huge Disney fans, Lena's extended family took a last minute vacation with her, only three weeks after her diagnosis. What was supposed to be a time to make family memories before Lena's body took the physical toll of radiation ended up being a nightmare as her condition rapidly deteriorated. Only minutes before the bus was arriving to bring the Tietjen's back to the airport and home to New Jersey, Lena started vomiting repeatedly and the ambulance was called. When she arrived at Arnold Palmer, her parents were told that her tumor had doubled in size and was causing an extreme mass effect on her brain. She couldn't be transported safely back to New Jersey, and her condition was such that her scheduled radiation would be impossible for her to endure. Only a month out of diagnosis, the Tietjen's were told that they were already out of options. However, what happened next was nothing short than a miracle. 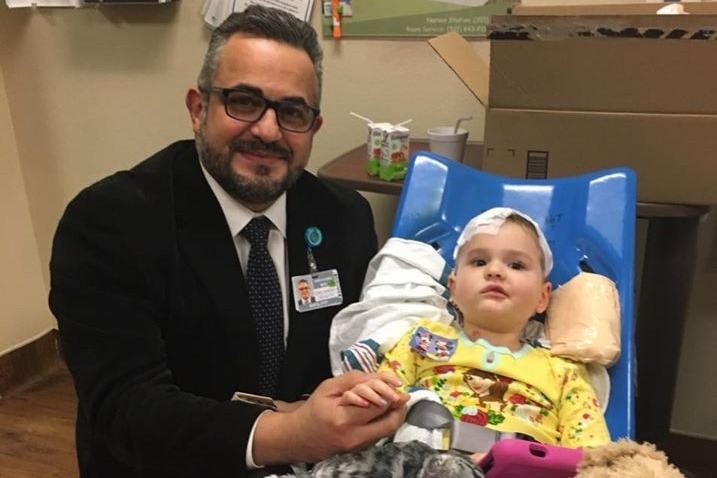 Dr. Samer Elbabaa, Arnold Palmer's Director of Pediatric Neurosurgery, reviewed Lena's scans and told her family that her "inoperable" tumor could actually be accessed and removed. The surgery was successful, and Lena was able to be home for Christmas with her family! 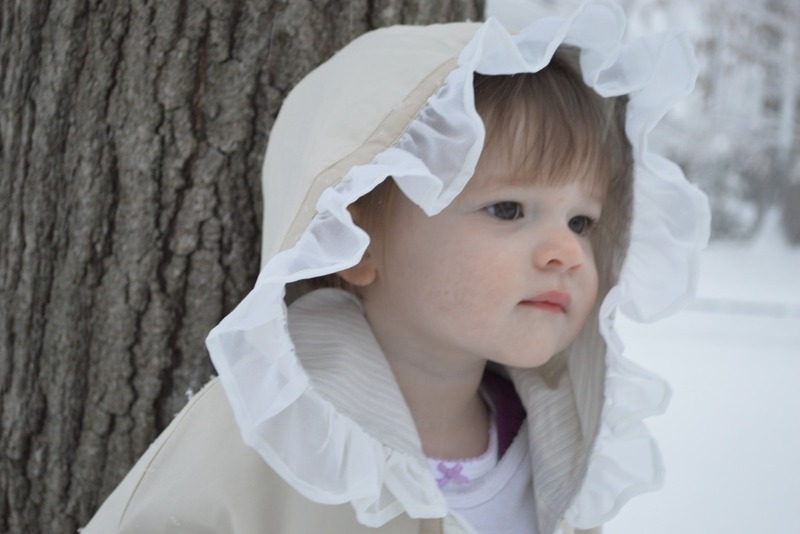 The Tietjen family has been blessed to have be given the opportunity to FIGHT for Lena. Since her surgery, she has undergone proton radiation at CHOP/Penn and has participated in a promising clinical drug trial called Onc201. Lena spent two months completing intensive day hospital rehabilitation, and then continued with physical, occupational, and speech therapy throughout the year. Erin and Matt have spent thousands of hours researching and contacting the best medical professionals in the world to move Lena's "army" in the right direction with her treatment goals. They have spent tens of thousands of dollars on consultations, medications, supplements, and travel expenses. Unfortunately, in August 2018, after 7 months of clean scans, the tumor returned with a vengeance. Lena was accepted on a new clinical trial at Duke, but before she could enroll she declined rapidly. There were no options left, until Dr. Elbabaa and the Arnold Palmer team agreed to have Lena return to Orlando for a second surgery to debulk the tumor once again. 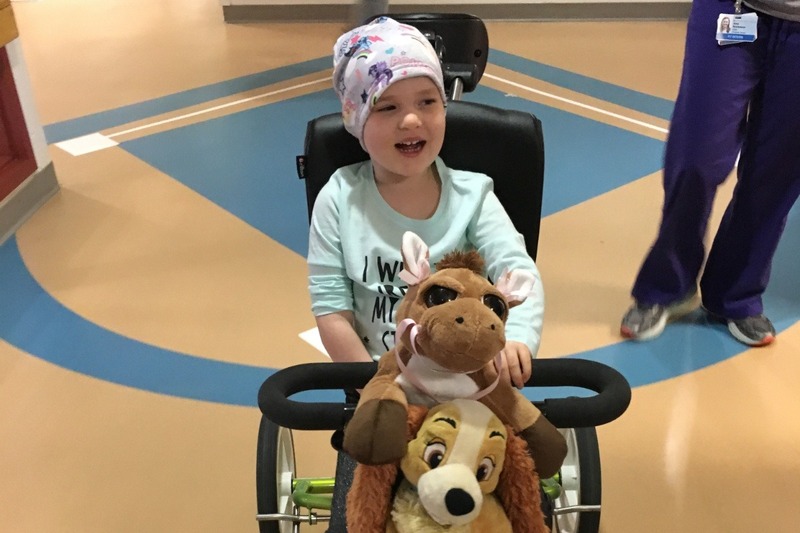 On October 9th, 2018, Lena underwent an extremely aggressive, high-risk, and innovative surgery to her thalamus and brain stem. 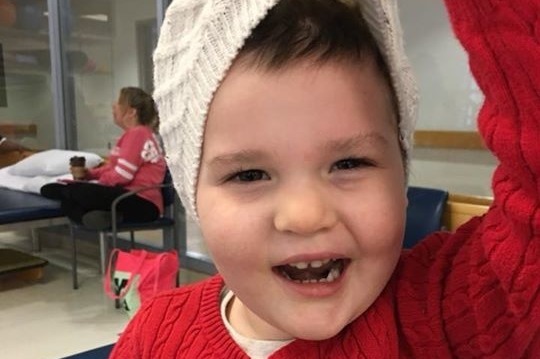 While the surgery was again a miraculous success, with up to 80% of the growth removed, the Tietjen's know that this operation is just the first step in a series of miracles that need to happen to save her. First, Lena needs significant rehabilitation. While she has been able to breathe on her own, recovery for a second "big" brain surgery can be a long-road. 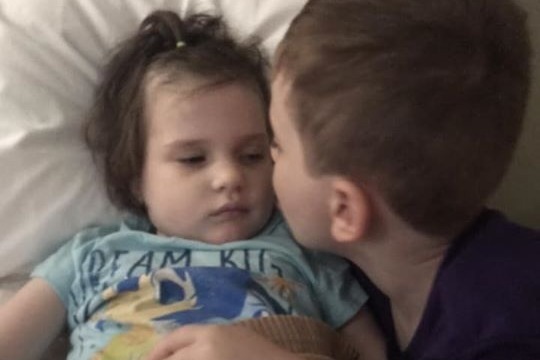 The Tietjen's are trying hard to get their daughter back home for in-patient rehabilitation, otherwise they may face an extended stay in Florida away from their home and family support. Next, Lena needs to get strong enough to either participate directly in the clinical trial - or - complete a second round of radiation to again stunt the tumor's growth. The clock is ticking and the Tietjen's are far from home. They know that there was no other choice but it doesn't make the decision to come to Orlando any easier. They are able to fight for Lena because of the support of everyone who has donated, and become part of Lena's Army. Our fight isn't over yet. Please pray for Lena and the Tietjen family as they face the most difficult days ahead. Our beautiful baby girl Evangeline Rose gained her angel wings on Monday, November 5th, 2018. 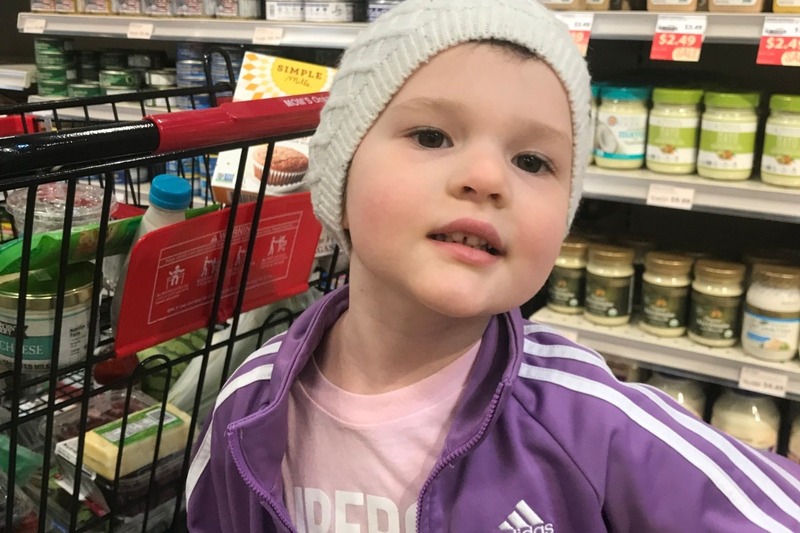 The "bump" was discovered on November 2nd, 2017, therefore, she defied the odds of her diagnosis and the incredible aggressiveness of her tumor as she fought bravely alongside all of her "army" of supporters for just over one year. In December, Lena's tumor ravaged her brain and stole her balance, speech, and the use of her right hand. It left her permanently nauseous and affected her temperature. She lost the ability to dance, swim, color, sing, and run. Worst of all, she lost the thing she loved the most - her independence. In spite of all of the obstacles, Lena displayed extreme resilience as she worked so incredibly hard to reinvent herself with her new limitations. She soldiered through eight brain surgeries, months of therapy, radiation, and "ouchies" without so much as a tear or complaint. She always said, "I'm getting stronger everyday," and we were all so proud as she rehabilitated and developed new skills. She started kindergarten on-grade level, even though the fatigue made her time at school short-lived. She amazed and impressed everyone who had the privilege to know her, treat her, work with her, and love her. We have countless memories of Lena over the past five years and 10 months. We miss and remember our sassy, funny, carefree preschooler pre-diagnosis, but Lena also became, over the past year, the strongest GBM warrior we could ever imagine. The amazing moments we have built through our tears, uncertainty, and hardship remind us how blessed we were to have this time to cherish each moment and express our love in spite of tragedy. As her parents, we were beyond fortunate to have had an extra year to make so many amazing memories with her, and experience first-hand her incredible spirit. There is so, so much more to say but at this time we are busy making arrangements. As many of you know we haven't even all been home as a family since September so we have a lot of work to do to prepare for the days ahead. I am sure we will post again soon to share more about Lena's life, fight, and legacy. It has been a week since Lena got off her breathing tube and we last updated. At the time we were optimistic that she could rebound quickly. She started out being able to speak single words and nodding her head on command. Unfortunately, that progress did not last. This is not uncommon with this type of surgery. Sometimes the deficits develop days after short-term improvement. So over the past week we have had wins and losses. We are sad at the loss of speech and head movements. She has not been able to safely swallow ice chips or use a straw, so she remains on a feeding tube. Lena still hasn’t opened her eyes. But her strength is slowly improving. She can move her arms and legs and stick out her tongue. She is able to wave and blow kisses. She can roll to her side and smile. We believe that given time she can recover. We have hope that she can get back to her baseline. I do not think we can overstate how difficult this week has been for us, as Lena’s parents. We would have never opted to do anything to needlessly prolong our beautiful daughter’s pain and suffering at the hands of this horrific disease. This week has been the first and only time we have wondered if the choices we have made for her have been the “right” decisions. However, we know that her status today is no worse than it was prior to surgery, and we also know that in her current condition, there is HOPE - for rehabilitation and a clinical trial. If we had left Duke and brought Lena home, she would most likely not be with us today. Of course we wonder and worry if people will judge us for our decision, but we know we wouldn’t have been able to live with ourselves if we hadn’t pursued this operation. The reality is that glioblastoma is a brutal disease on an entire family regardless of the path you take to fight back. There is no road map but we have always tried to act out of unadulterated love, compassion, and consideration for Lena’s quality of life. forward with prayer and hope for improvement. We are hoping to get air transportation back to CHOP to allow Lena to rehabilitate and give her the best chance to recover and be close to her family, especially Clark. Keep your fingers crossed that the hospital can work another miracle and convince our insurance provider to cover the transport! We should know more by Monday. As always - we ask that your prayers continue for Lena. Pray for recovery. Pray that the tumor doesn’t grow back quickly. Pray that we safely get home early next week so that our family can all be together again. Lena had surgery on Tuesday, and again, it was a great success. Dr. Elbabaa was able to work another miracle and he removed 70-80% of a tumor that no other doctor would touch. This time, the location in her brain stem made the procedure much more risky, but he still took out 20-30% more than any other surgeon told us could ever be removed. However, we have been feeling the stress over the past five days here in Florida. Day after day Lena struggled with the tests to remove the breathing tube. Since we were warned that one of the biggest risks of brain stem surgery would be getting Lena off a breathing tube, this was a huge source of stress for us as the days lingered on. Progress was slow and steady, but she wasn't showing us enough to get her off of the tube right away. Each day we were told that they were going to try to pull it, and then during each test her breathing wasn't consistent enough to have that happen. Fortunately, on Saturday afternoon the breathing tube finally came out! She has been doing amazingly well without it, and at this point we are confident to report that it should not be an issue. It is a huge relief as we were thinking about long-term respiration plans but now we can move on to other concerns. She is still on a feeding tube, and will be at least until she can be evaluated for speech and swallowing on Monday. That is standard practice after this type of surgery, and we feel confident that she will be successful because we haven't noticed any deficits in that area. Right now we are just trying to keep her from ripping out her feeding tube, because she hates it and has a history of taking it upon herself to get rid of them when she feels ready! All in all, Lena made great strides today. She spoke several words (extremely difficult because she hasn't been allowed any liquid by mouth or anything to soothe her throat since she had the breathing tube in for five days). She is consistently nodding her head, hands, and feet on command and in response to a prompt. She remained awake through most of the day. She is doing amazingly well and we are super proud of her. There is one area that we are concerned and nervous about. Lena still can't open her eyes. She is trying to, we can see her raising her eyebrows and pushing her head forward, but she physically can't lift her eyelids. Her vision hasn't been impacted, but it is difficult for us because we know this is so frustrating for her. We are PRAYING that this area will improve in the week ahead. The inability to open her eyes is no indication of her cognitive state. She is awake, and she is functioning extremely well under the circumstances, however, we believe the tumor may have damaged this nerve connection. It already started happening in the days prior to surgery. We are optimistic that this damaged area will improve as the swelling goes down and she continues to heal. The team here doesn't seem overly concerned at this point, and we were warned that it was likely to be an issue that would need time to resolve, but we are still on the edge of our seats to have her open her beautiful eyes. With all that said, the surgery itself was a resounding success, but now the rehabilitation process is completely on Lena's time frame. This is honestly the most difficult part. Our goal of quickly getting her back to Duke is still our primary concern. 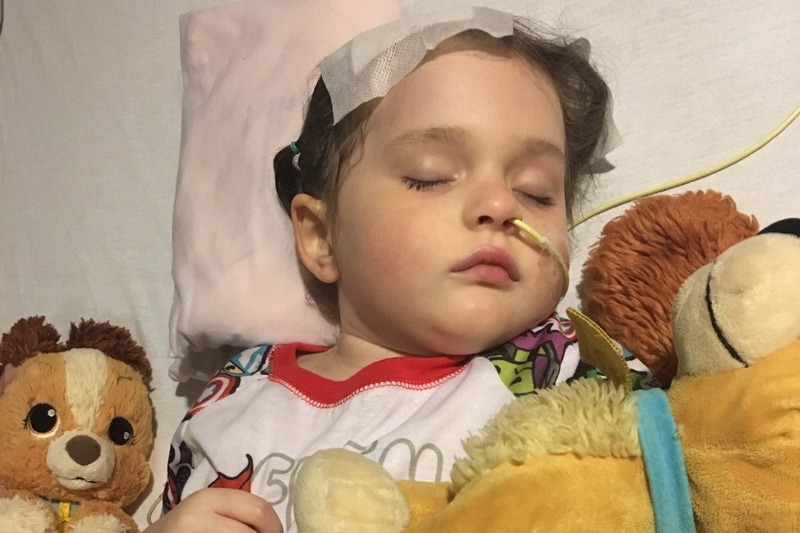 We have been reassured that eyelids open or not, she is improving in the proper way to continue with our plan to get her to her clinical trial. Please pray for us to continue with the positive momentum as Lena's healing in Florida continues over the week ahead. We will be starting to have conversations about what and when the next phase of her treatment will be. Please pray that she opens her eyes, is pain-free, and peaceful in the week ahead. Please pray that Clark has a good week as he enters the third week away from us. We are working to get him to us as soon as we know "THE PLAN." We miss him terribly. But, he has had a fun-filled weekend with his family and friends. I will leave you with a picture of Clark from today with his cousins. He dressed up for Boo at the Zoo! Lena’s journey has always been about her army of supporters. Tomorrow morning (Tuesday) will be surgery. We really don’t know what to expect, but we do know we are out of other options. We have all of #teamlena on board. We feel so fortunate to have the expertise of a world-class neurosurgeon, Dr. Elbabaa, on Lena’s team. Every time he walks into our PICU room we feel at ease. The team at Arnold Palmer is once again showing us that we are in the absolute right place with the best care. The neuro-oncologists at Arnold Palmer, Duke, Hackensack, and CHOP are all on her team and involved in the coordination of Lena’s care post-surgery. And, family and friends, YOU are #teamlena. We feel so blessed by the outpouring of support, kind thoughts, and actions from those who have so much #loveforlena as we have navigated this uncharted territory. Thank you to all that have contributed to us financially. We are able to be here in Florida - without income, ONLY because of the generosity of those who are supporting our fight. This includes, but is definitely not limited to, anyone who has donated to the GoFundMe account, purchased a “I Wear Purple for Lena” t-shirt or a $10 raffle ticket for an autographed Mike Trout baseball bat, or has in any other way offered comfort by sending meal cards and gift baskets. Most importantly, thank you to all of you who have kept Lena in your thoughts and prayers. We have surrounded our family with your love and support and we are forever grateful. There have been so many kindnesses that we can never start to list them all for fear of leaving someone out. The outpouring of positive energy that surrounds our beautiful baby girl humbles us to the incredible power of prayer and community. I will leave you all with a picture of Lena, taken back in May, doing two of the things she loves the most, shopping and being sassy! Keep the prayers coming, #teamlena, because we need some good vibes today more than ever.